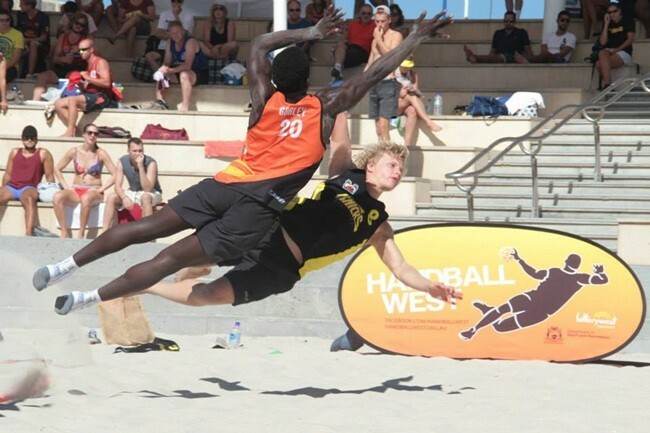 Once a year the biggest tournament of Beach Handball in the Oceania region is played in one of Australia’s states. 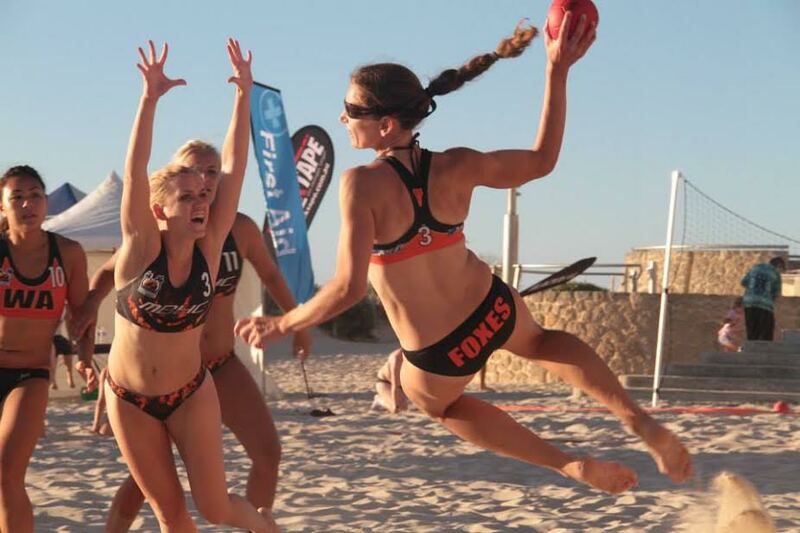 This year’s Championships were played in Perth, Western Australia over the weekend of 13th – 16th February 2014. Additionally in the lead up to the Championships the Australian Beach Handball national coaches have conducted a training camp with all players around Australia to select the Australian Beach Handball squad during the camp and the Championships, which will be preparing for the World Beach Handball Championships in Brazil mid year. The women and men squad was announced after the relevant medal and trophy presentation. The International Handball Federation (IHF) has also send two representatives Ioannis Meimaridis (Greece) and Sasa Kuburovic (Serbia) to support the Oceania region in the growth and development of refereeing/ officiating and coaching. The course ran over four days and had 23 passionate Beach Handball participants, which have tested their new learned skills over the weekend and were supported throughout by Ioannis, Sasa and Mark Dawson (Australian IHF Delegate) on the sideline. 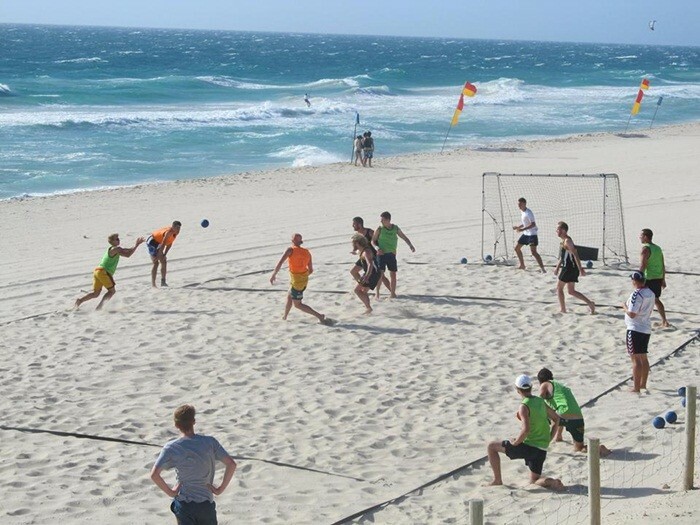 “Added value” of funbelievable beach event were possibility to see both gender Australian national teams played playing against Championship’s “All stars” teams. * Championships Trophy Cup (men and women division)– showcasing the elite teams that have qualified from each state all female and all male categories. * Championship Cup (mixed division)– ensuring the event is inclusive to players of all abilities, the Cup has been part of the National Championships since 2011 and is open to mixed teams. The men and mixed had eight participating teams and the women division six teams. Especially in the Championships Trophy Cup the teams were very competitive, which was displayed through tight matches and close scoring. 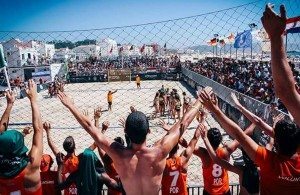 All in all the Australian Beach Handball Championships were a success throughout with the added support of the three IHF delegates and praised by sunny weather. ← Previous Story Gasper Marguc on the Veszprem’s doors!